If you are concerned that your property taxes are too high, you might be considering hiring a property tax consultant. Property tax consultants generally offer their services in exchange for a percentage of the tax savings they ultimately accomplish. Some charge fixed fees, and some charge by the hour. 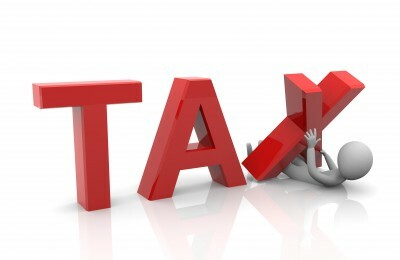 Whether you have the time to pursue the matter of attaining a property tax reduction yourself. The cost/benefit factors related to hiring a property tax consultant. Is Your Property Commercial or Residential? It is often quite easy for a homeowner to attain a property tax reduction simply by understanding the appeals process and following through the various steps. If you are a commercial property owner on the other hand, the process of attaining a property tax reduction can become more complicated. The more valuable the property and the more complicated the grounds for seeking the tax reduction, the more likely it is that hiring a property tax consultant will be worthwhile. Do You Understand What Factors Are Most Important in Justifying a Property Tax Reduction? Property owners often become emotionally tied to the size of their property tax bill and believe their property is over assessed. While a huge number of properties are over assessed, it is important to understand the factors that property tax assessors consider when valuing a property. This is where a little bit of knowledge can go a long way. Simply by educating oneself about the process, a property owner can greatly increase their chances of winning a property tax reduction. The vast majority of times they can eliminate the need to hire a property tax consultant. Do You Have the TIme to Pursue a Property Tax Reduction Appeal? Surprisingly, most people assume that a property tax appeal is highly complicated and time consuming. The fact is, most home owners can go through the process themselves, and often the entire process involves little more than a few hours of well spent time. Considering the possibility of saving hundreds and even thousands of dollars on a tax bill, this is obviously worth the small investment of time. However if you absolutely cannot spare even a small amount of time, the service of a property tax reduction consultant may be worthwhile for you. Does the Cost/Benefit Ratio Make Sense? Hiring a property tax consulting firm may or may not make sense. You need to determine what is a realistic result, and what that result will cost you. Obviously if you spend $500 and win a tax reduction of $350, this is not money well spent. However if the property tax consultant agrees to work for a percentage of the ultimate savings (typical fees are between 30% and 50% of the tax reduction), their services may be justified. Ultimately the decision to hire a property tax consultant must make sense to you. But for the vast majority of property owners, an inexpensive property tax guide is all that’s needed to attain property tax relief. For those who simply can’t afford to pay their property taxes, each state has their own programs and local companies who can help. Some of these resources will help reduce the taxes for you by paying a portion while others have pay back programs. If you live in Texas, property tax relief options are widely available to you.